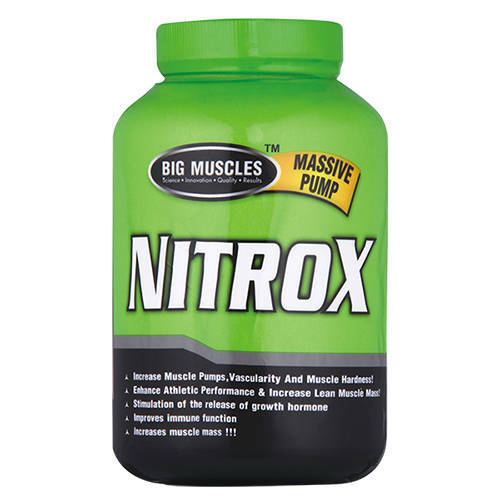 Big Muscle Nitrox works by expanding your blood vessels, which acts to increase blood flow. Oxygen and nutrient delivery to your muscle cells. By ensuring the efficient travel of blood and nutrients throughout the body. you will experience improved workout performance. Amazing pumps, all-day muscles fullness and muscularity, greater energy, a height end resistance to fatigue and a greater ability to recover. Increase muscle pumps, muscularity and muscle hardness. Stimulation of release of growth hormone. 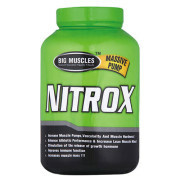 How to take Big Muscle Nitrox : Take 3 Capsules Of Nitrox 15 Minutes Prior To Workout.